I was delighted to discover a scented pelargonium at the Star Nursery on W. Cheyenne, Las Vegas, NV. 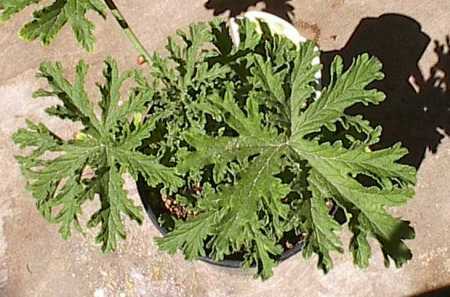 Last year, although 2006 was the Pelargnium’s turn as Herb of the Year, not a single scented geranium could be found locally. And I even found one I didn’t have. I used to have it, but you know how that goes.